Hamlet is usually encountered as an object of reverent study or, in performance, a vessel of virtuosity. 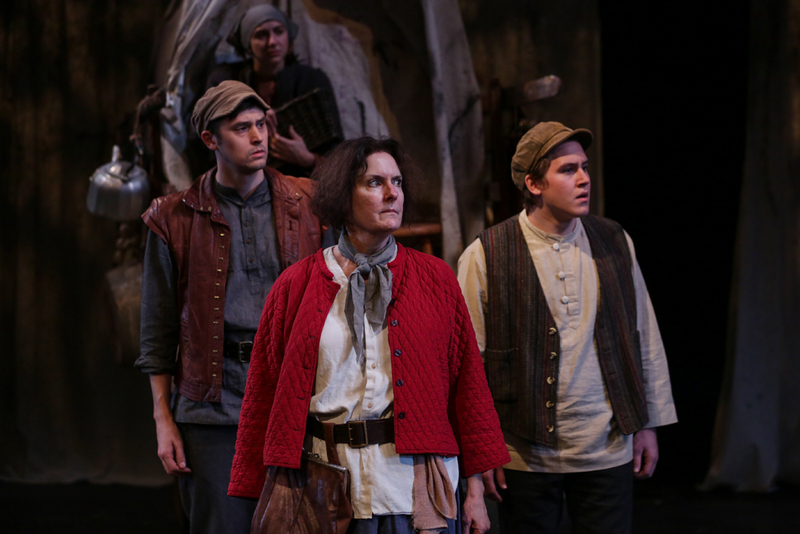 But in its recent staging at an old Seattle mansion, The Horse in Motion found a way to turn the play back into a visceral theatrical experience — one full of discovery for bardolaters and newcomers alike. In lieu of a traditional theater, the action was set in (and around) the Stimson-Green Mansion, a meticulously preserved 1901 home with an English Tudor Revival exterior and a wonderfully eccentric, all-over-the-place interior, located on Seattle’s First Hill. But the novelty of presenting Hamlet as a site-specific event turned out to be just one facet of this adventurous company’s innovative take. Brooklyn-based director Julia Sears double cast Hamlet‘s major roles among a team of eleven actors, thus creating two simultaneous productions that unfolded in different rooms of the mansion. The audience — limited to about 40 people for each performance — was correspondingly split in two and given a cast list designed as an invitation either to the wedding of Claudius and Gertrude or to the funeral of Hamlet Senior. In various key scenes, the two casts converged in the same space, so that, for example, we saw twin Hamlets confronting the same situation — as if these parallel universes had suddenly intersected. 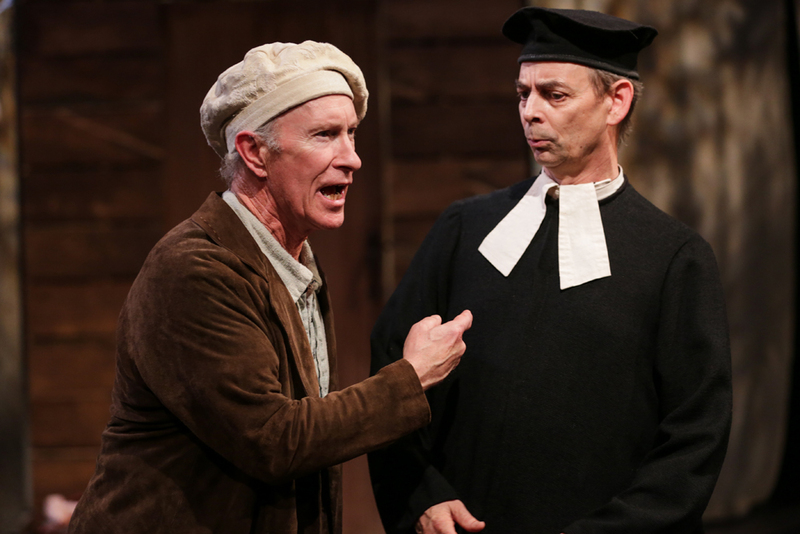 At these face-offs, the double Hamlets and colleagues divvied up their lines or enacted them simultaneously. Sometimes the actors from the other cast were close enough to be audible, the slightly unsynchronized delivery intensifying a sense of patterns being eerily repeated — like a familiar ghost story retold, with just enough of a sick twist to add a new frisson. Virtuosity there was indeed, but a kind of virtuosity even more demanding than usual. For instance, Kevin Lin played Hamlet for the group to which I was assigned (the wedding party) during the second-to-last performance (28 April), homing in on the prince’s sense of desperate frustration to powerful effect. 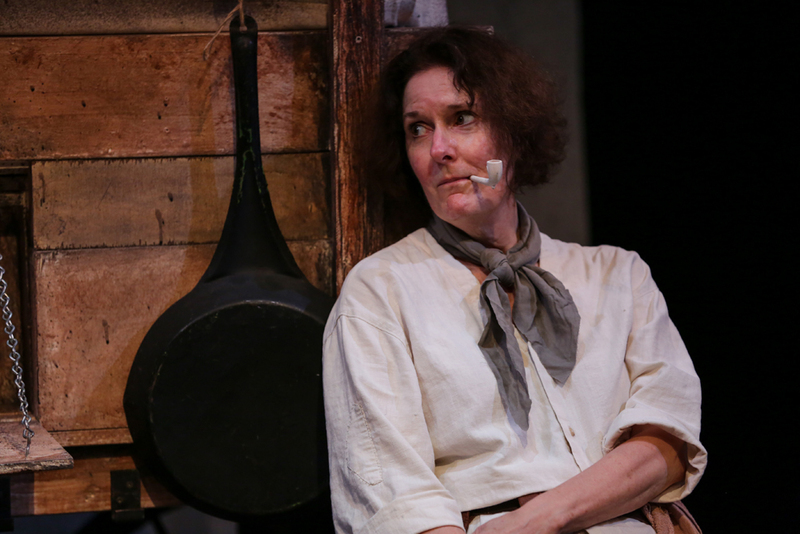 But in addition to this monumental assignment, he had to morph into Laertes for the “funeral” production and calibrate his interpretation to that of the other Hamlet, the commandingly eloquent Jocelyn Maher (who, in turn, was our Laertes). Specific angles in the wedding cast — the intensity of the sexual bond between Claudius (Ben Phillips) and Gertrude (Tatiana Pavela) — made me curious about the parallel chemistry in the funeral cast’s scheming royal pair. Gender-blurring assignments also added a fascinating dimension to the experience. Along with the male-and-female Hamlets and Laerteses, both Hannah Ruwe and Nic Morden were double Ophelias (as well as Horatios). During the “mash-up” scenes, we saw both manifestations of Hamlet and Ophelia interacting with each other. Polonius, meanwhile, was played as a society matron by Laura Steele in both casts. This may sound like a merely clever concept, but in performance it was riveting from start to finish, reinforcing what is at stake in Hamlet with unforgettable theatrical power. “Who’s there?” — the play’s first line, delivered urgently on a chilly, damp lawn next to the mansion — acquired fresh implications. Jenn Oaster’s early-20th-century smart-set costumes, enhanced by Alex Potter’s period music sound design, evoked associations from the era when the Stimson-Green Mansion was built, of ghosts from its particular past. On one level, this suggested Hamlet’s tragedy playing out in a particular context of privilege, his madness presenting as fragmentation. I’ve never actually felt nervous before during Hamlet and Laertes’ final fencing match. This time, I was viscerally aware of the nuances of the fight choreography as the rapiers clashed inches away. The only drawback was that the logistics limited the audience size, so that local theater lovers who didn’t plan ahead missed out on this remarkable experience. As the dead bodies, doubles included, lay strewn about, not even Fortinbras (the excellent Mario Orallo-Molinaro) could set things right. Sears’s final touch removed the precious sliver of optimism the Norwegian crown prince represents, making him another victim of the sad state of this world. –Review (c) 2018 Thomas May. All rights reserved. Seattle Shakespeare Company is currently presenting a two-installment adaptation of the Henry VI trilogy, which they’ve titled Bring Down the House. 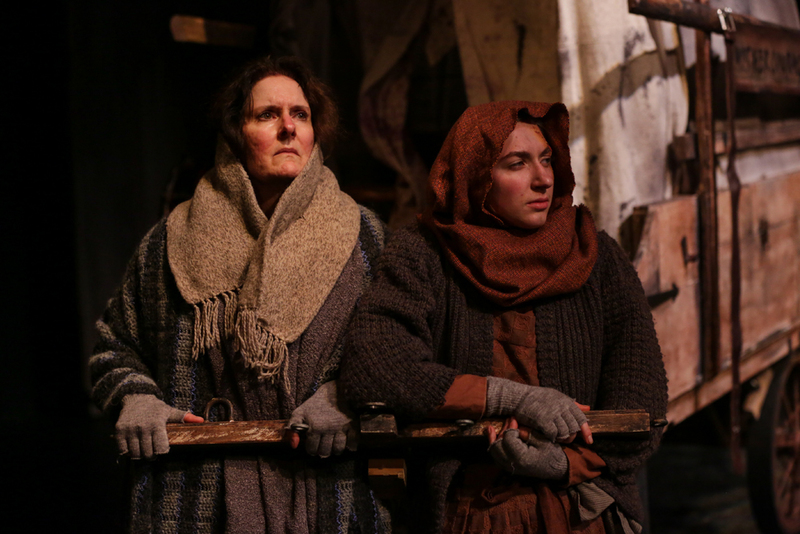 Directed by Rosa Joshi — whom I interviewed three years ago about her brilliant Richard II (also for Seattle Shakes) — it features an all-female cast and is deftly paced and riveting throughout. Along with Mari Nelson’s fiercely magnetic York and Sarah Harlett’s wickedly charismatic turn as a young, already restlessly scheming Richard III, I especially admired Peggy Gannon’s versatility in playing both Edward IV and the rabble-rouser Jack Cade, evoking a certain presidential blowhard in her portrayal of the latter. I was very fortunate finally to have a chance to catch up with Thomas Ostermeier’s acclaimed production of Richard III the Schaubühne — not in Berlin, but at the Edinburgh International Festival. Much has been made of Ostermeier’s highly original direction as a saturated, intensified portrait — a Machiavellian mirror — of the title anti-hero. That of course has been facilitated by the exciting, controversial translation/adaptation/condensation of the German text prepared by company dramaturg Marius von Mayenburg. One of the most brilliantly effective choices — apparently a spontaneous decision arrived at during the course of rehearsal, according to Ostermeier — was to streamline the litany of climactic battles into a sequence of Richard fighting with himself, up to his inglorious demise. This portrait approach was also made possible only through the weird, cultish charisma and electrifying stage presence of Lars Eidinger as a maniac-depressively embittered Richard. Not an “evil” character, according to Ostermeier, so much as one who makes the workings of power and its aggrandizement theatrically transparent, naked. Eidinger’s matchless account requires intense physical acting, stamina, singing, and clownish, stand-up improv with the audience — the humor was particularly well-pointed, not a cop out (with a delightful exchange accusing a prematurely exiting patron of being rude when he claimed he was heading “to the toilet”). But that’s not to shortchange the contributions of the rest of a stupendous ensemble cast. Percussionist Nils Ostendorf contributed an excellent, live-wire score, which interpolated some fascinating touches (like an intensely repeated loop that segued in and out of Laurie Anderson’s “O Superman”). If music be the food of love, centuries of composers have failed to surfeit the appetite of our collective passion for Shakespeare. Let’s not forget to rewrite those passages that make us “uncomfortable,” right? After all, they gave King Lear a happy ending back in the Restoration. There’s no shortage of “upstart crows” when it comes to Shakespeare studies: scholar-mavericks who challenge the self-appointed gatekeepers in academia. And it’s no surprise that (after discounting the obvious crackpots) many of these turn out to offer little more than half-baked theories that crumble under closer scrutiny. 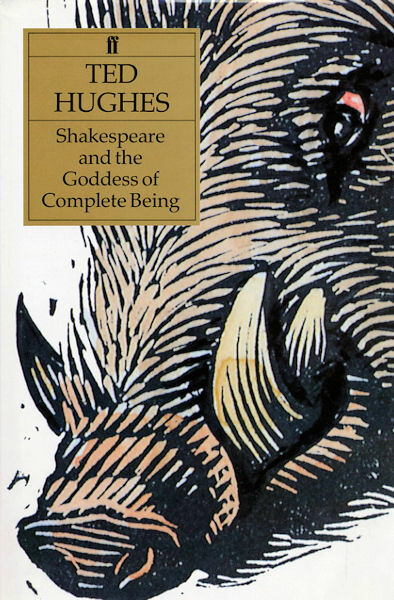 But one of the most significant unconventional readings of Shakespeare of recent years belongs to a class of its own: the poet Ted Hughes’ Shakespeare and the Goddess of Complete Being. Is this a truly paradigm-shifting vision or an absurdly reductive idea that sacrifices too much to in pursuit of a “hedgehog” theory? In his long introduction, Ted outlined the religious and psychological conflict caused by the Calvinist Puritan suppression of Old Catholicism in which the goddess of earlier pagan beliefs still flourished. The religious aspect of this conflict was particularly relevant during Shakespeare’s lifetime, but the universal psychological aspect of the suppression of natural human energies, especially sexual and imaginative energies, is clear to see. It was in Ted’s writing on Shakespeare that what he called “the tragic equation” was explicated: the love goddess, enraged by the puritanical suppression of sexual energies, becomes the ‘Queen of Hell’ – the demonised boar who destroys the hero. Much of Ted’s discussion of Shakespeare’s ‘great theme’ can be traced back to [Robert] Graves’ arguments in “The White Goddess,” but the psychological aspect of Ted’s “tragic equation” shows just how much he was also influenced by the work of Carl Jung. Ted was well aware that Shakespeare and the Goddess of Complete Being was a difficult book: difficult to write and, for some readers, difficult to read… Ted’s own knot of obsessions meant he was uniquely qualified to recognise an underlying theme that others had never noticed…Most importantly, he was a poet bringing his poetic sensibilities to the work of another poet; and in the whole body of Shakespeare’s work he recognised a progressive exploration of many of his own beliefs, difficulties and questions. The controversy over the play known as Double Falsehood; or, The Distrest Lovers — a 1727 drama by Lewis Theobald (1688–1744) — is back in the news. Theobald famously claimed he’d adapted his play from a now-lost Shakespeare manuscript, and scholars have been at it ever since. It turns out that Double Falsehood likely represents double authorship. Based on an episode from Cervantes’ Don Quixote — who died less than two weeks before Shakespeare (if you adjust the traditional date of the Bard’s death to the Gregorian calendar) — Double Falsehood is also one of the candidates that has been speculatively identified with the long-lost play known as The History of Cardenio. The latter play is believed to have been a collaboration between Shakespeare and John Fletcher, a playwright for the King’s Men company. Cardenio was performed by the company in 1613 but was subsequently lost. The controversy over Double Falsehood is therefore hardly new; nor is the more or less definitive claim of Shakespearean involvement. But this latest crack at identifying Falsehood‘s true authorship uses the tools of modern psychology and linguistic statistics. Most of the news reports refer to the authors of the study by the catchall term “researchers at the University of Texas in Austin.” It’s worth nothing that said researchers — Ryan L. Boyd and James W. Pennebaker — are actually professors of psychology, not literary critics or Elizabethan scholars. Their research has been published in the journal Psychological Science. Specifically, we created a psychological signature from each author’s language and statistically compared the features of each signature with those of “Double Falsehood”’s signature. Multiple analytic approaches converged in suggesting that “Double Falsehood”’s psychological style and content architecture predominantly resemble those of Shakespeare, showing some similarity with Fletcher’s signature and only traces of Theobald’s. 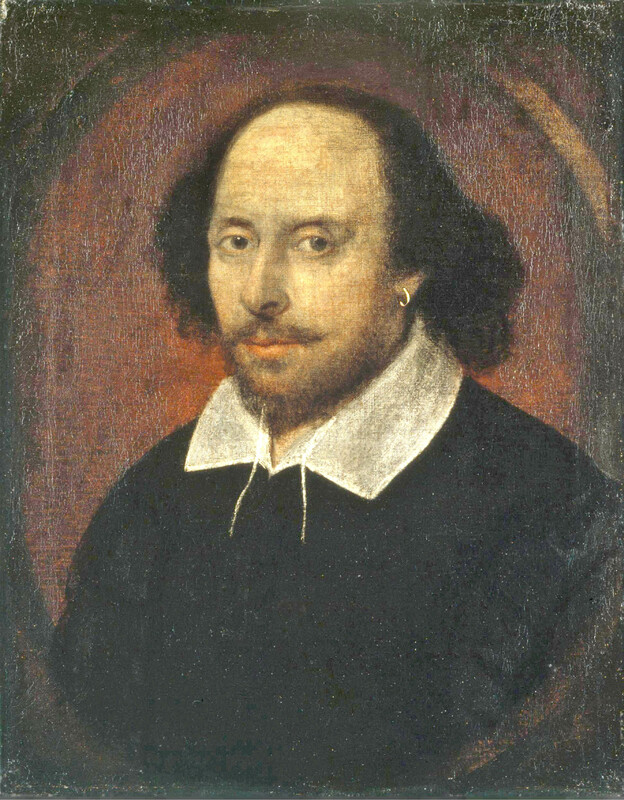 Closer inspection revealed that Shakespeare’s influence is most apparent early in the play, whereas Fletcher’s is most apparent in later acts. “Double Falsehood” has a psychological signature consistent with that expected to be present in the long-lost play “The History of Cardenio,” cowritten by Shakespeare and Fletcher. Soon after Theobald made his claim in the 18th century, Alexander Pope declared it must be a forgery, and there will surely be skeptics who remain unpersuaded by this latest analysis. Still, the method of a kind of creating a kind textual psychological profile to identify Shakespeare’s “Weltanschauung” is pretty intriguing.